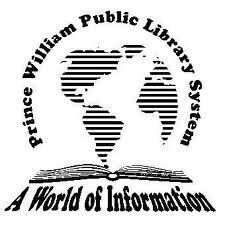 The Prince William Public Library System (PWPLS) offers a number of programs throughout the year for all ages including families, children, teens and adults. PWPLS would like to highlight some of those programs and events below. 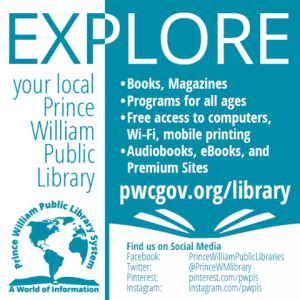 Please visit our website (pwcgov.org/library) to learn more about all of the events offered for the month. Spring into cheap reads at several book sales this month, and enjoy ongoing book sale corners at our full-service branches. Click the link to see book sale schedule. Join us on April 15, 2017 for the naming of the Montclair Reading Room in honor of Potomac District Supervisor Maureen Caddigan. The event will start at 10:30 a.m. and will include speakers, light refreshments and the unveiling of the Reading Room sign. Become a Summer Reading volunteer! Each summer, hundreds of area teens volunteer with PWPLS to help with our Explore Summer Reading program. Young adults ages 12 and up will be able to apply here beginning April 1. It’s National Library Week and your chance to meet local celebs at a storytime at every branch between April 9 and 15. Click the link above for the schedule. Meet Jett, a Portuguese water dog and our latest canine companion to join Reading to Dogs. He’ll be at Dumfries Library Saturday, April 22, from 11:00 a. m. – 12:00 p. m.
It’s our two-year #1KKB4K anniversary and time to celebrate the grads. You can sign up for 1,000 Books at one of the parties; click the link to find out where and when. Grow, save, and share seeds with Seed to Seed, Chinn Park’s new seed-saving library. Become a member, take home free seeds, and enjoy refreshments at this kick-off event. Tuesdays through May 9, 10:30 – 11:30 a. m.
Attend one or all of these free sessions held in the Trustees’ Room below Chinn Park Library. Click here to view sessions and register. Learning the lingo of personal finance doesn’t have to be costly! Attend a free seminar for adults or teens. Click here for locations, dates, and times. Make an edible creation based on a book, or just come vote on one! Click here for details on entering, voting, and attending optional workshops. Wednesday, April 12, 11:00 a. m. – 2:00 p. m.
Bring the kids for an overdose of cute photo ops to fill up your Instagram feed. Saturday, April 29, 2:00 p. m.
Listen to the music of a famous U.S. Navy Band Ensemble up close and personal. For all ages; drop in.